All but one Metro Vancouver real estate market saw prices fall last year. That’s the latest finding from a new report released by Zoocasa today, which reviewed year-over-year home prices changes in Metro Vancouver. Specifically, the study compared the year-over-year difference in January benchmark home prices across 21 areas in the region for single-family detached homes and apartments. The hardest hit was Vancouver westside, which saw average prices dip 14.1% from last year to an average of $3,049,700 – a loss of $500,591. That’s followed by West Vancouver where prices fell 15.4% to an average of $2,622,800, representing a decline of $477,436. 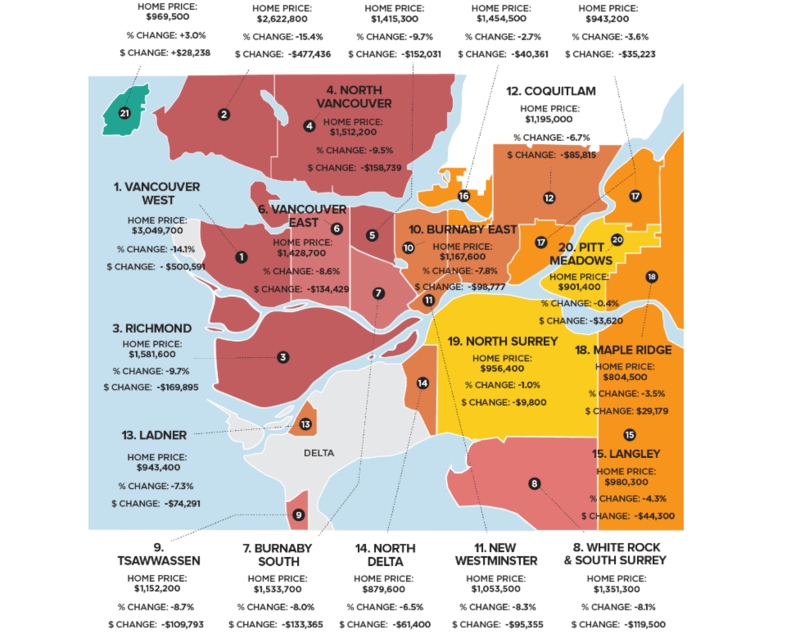 The areas of Richmond, North Vancouver, and Burnaby North also saw detached home values dip nearly 10%, representing dollar losses between $150,000 and $170,000. 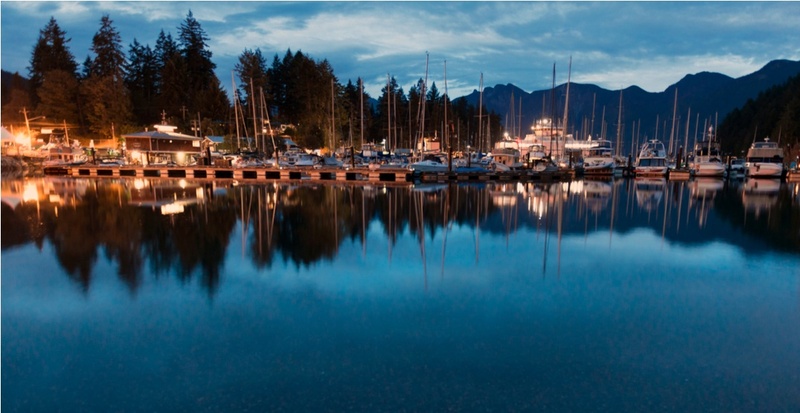 In fact, the community of Bowen Island was the only market that saw appreciation, up 3% year over year to an average of $969,500 – equity increase of $28,238. On the condo front, prices appreciated in 10 of the 21 markets with the greatest increase in Tsawwassen, which rose $36,852 to an average of $497,500 (+8%). Ladner saw the second greatest increase, up $31,929 to $463,400 (+7.4%), followed by North Delta, up $16,000 to $391,000 (+4.3%). Staff Writer at Daily Hive.